You can visit lake of Hürmetçi for birds and wild life which still survives. Wild Yılka horses live at west of Hacılar town as well as they rarely go to lake side at village of Hürmetçi. The most significant structure is the complex of Kara Mustafa Pasha. You will see the mosque, hammam, madrasah, khan and market which were built for honor of an Ottoman Pasha in 17th century. Guests were not paying any charge for accommodating at caravanserai, either. 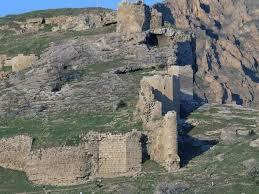 You should go to the village of Viranşehir for tombs and ruins of Roman village. There isn’t any significant Roman Empire monument at Cappadocia except this village. You must drive to north of Incesu for bridge Tekgöz. 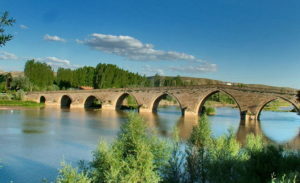 The length of bridge is 120 meters and it was built on river Kızılırmak. 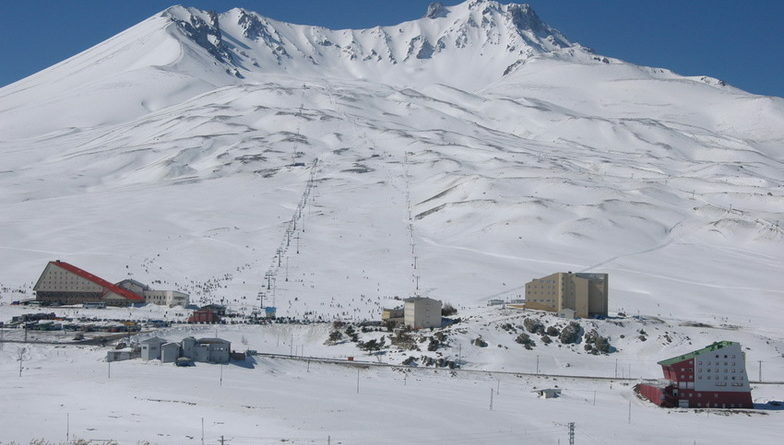 We offer to drive two kilometres more till area of Derebağ. You will see a cavern that called as cave of Kırklar. There is a wonderful church and two graves that carved in rocks, too. In addition you will notice the second cave that named as cave of Tenten which is approximately 200 meters far to cave of Kırklar. 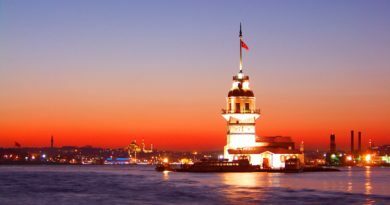 As you know Turkish nations migrated from middle Asia to minor Asia after the battle of Malazgirt in 1071. Commander Emir managed the area for a while. You should see the castle and tomb of Commander Emir. You can see ruins of castle Zamantı at riverside of Pazarören. Public makes picnic at area of Göz which has a fresh water source that streams from rock. You will also see Karatay Khan which is on road before Pazarören. You will see 3 locations that has ruins of ancient sites and castles. The village of Dallıkavak is the most popular place for picnic. You will admire the natural water sources of village, too. First of all, you must arrange a day just for many historical places of Talas. For instance, Sarnıçlı underground city is located beneath Mount Ali which constructed in 3rd century AD. The church of Endürlük built in 1835 as well as the tower is still fine. You must drive 15 kilometers more for bridge of Kuruköprü that built in period of Roman Empire. The length of bridge is 170 meters. You will notice the intersection of aquadects and bridge at the same construction. You should go to the village of Başakpınar for İspile Khan. This was built in 13th century. The lake of Palas is the other popular destination for to view birds. Local people produce salt naturally, too. The bridge of Şahruh is the most famous construction of town. The length of bridge is 150 meters and it was built in 15th century.